Tickets available for July 15! Join us for a day of fun, wine and a little history! Visit four wineries, enjoying tastings at each stop. Ticket includes: 5.5-hour guided tour to/between each winery so you can relax and enjoy your day (NO driving!). Wine tasting at each of four wineries (tasting fees included). Light snack box of winery appropriate fare. A little bit of history as you pass through historic Spotsylvania County enroute to the next winery. Service offered on select Saturdays and Sundays (April through December), so you will want to reserve your tickets now if you have a particular date in mind to celebrate. Reservations must be made in advance. We also offer private group tours. Contact us for details. We start at A. Smith Bowman distillery for a tour and tasting. Next is Six Bears and a Goat brewery for tour, tasting and lunch. Then we finish at a local winery for a tasting. $75 per person includes transportation, tastings, lunch at the brewery and bottled water on the tour bus. Click here to buy Wine Tour gift certificates online! 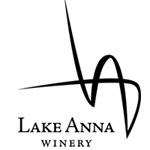 Lake Anna Winery is second-generation family owned and operated, established in 1989 on 75 beautiful rolling acres in Spotsylvania County, Virginia. Lake Anna Winery proudly offers award-winning affordable wines from estate-grown grapes in a family friendly and fun atmosphere. There is no perfect wine for all situations, only perfect times for all wines. Mattaponi Winery is family owned and operated with International and National award winning wines from coast to coast. Their specialty wines are unique because they don’t blend with any grapes; it is 100-percent fruit wine. This small farm winery has added a beautiful tasting room known as the “Tasting Post” for your relaxation and enjoyment. 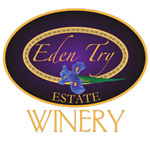 Eden Try is “a Try at the Garden of Eden” with wines baring its theme and reflecting its natural beauty: Paradise! Temptation! And Forbidden! to name a few. The private Estate is an award-winning wedding and event venue and the newest of Spotsylvania wineries. Boutique winery open for tastings and Estate tours on select dates to keep venue exclusive for private events. 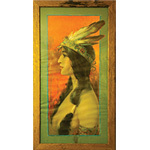 See our web site or like us on Facebook for details. 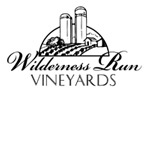 Wilderness Run Vineyards is a beautiful farm, focused on providing sustainability in the field, a sophisticated touch in the winery and a natural setting in which to relax.